Nikonians Academy Director Mike Hagen tells us the month of January, 2013 was busy, but pales in comparison to the calendar ahead. We've had sold-out workshops on both coasts of the USA and an increasing buzz about our workshops around the world. We keep making our workshop experience better and would love to have you attend one of our classroom workshops or our outdoor photo adventures. 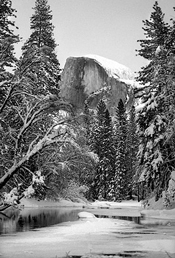 For example, we have our annual Yosemite in Winter workshop with Michael Mariant running February 14 - 17. This is one of our favorite trips where photographers capture the beauty of Yosemite's granite walls under the splendor of winter snow. 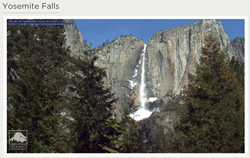 For a preview, be sure to check out the web-cams of Yosemite to see all the snow and beautiful scenery. February, March, and April bring an amazing array of workshops all around North America taught by Steve Simon, Winston Hall, Mike Hagen, Rick Hulbert, and Michael Mariant. 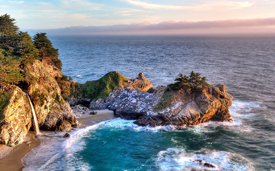 Our Ultimate Travel Workshop aboard the Semester at Sea cruise ship begins April 26. This ship-based workshop travels around European ports of call to amazing locals such as Monte Carlo, Cadiz, Casablanca, Lisbon, Le Havre, Antwerp, Amsterdam, Belfast, Dublin and Dover. It is an incredible journey and you'll learn all about travel photography, multi-media production, workflow, street photography, environmental portraiture and much more. Check out our website for detailed information. 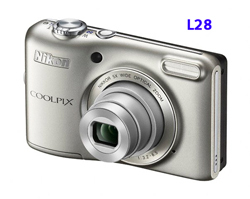 The Nikon COOLPX line has added seven new models. These cameras cover long zoom requirements, GPS and Wi-Fi enhancements, rugged harsh outdoor environments, and even modest budget needs. 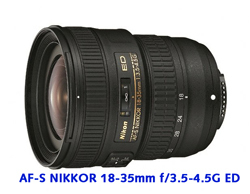 The Nikkor FX-format lens category has also expanded, with a hefty 800mm fixed focal length lens and an 18-35mm wide-angle zoom designed for Nikon's ultra-high-pixel-count D-SLR cameras. 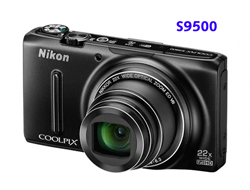 The manufacturer's suggested retail price range on these new additions covers the gamut from a low of $120 (USD) for one of the COOLPIX offerings to a nose-bleed high of more than $17,800 (USD) for that 800mm lens. • Offers various shooting effects to enhance memories, including an upgraded Glamour Retouch function, Skin Softening and Quick Effects. Capture One Pro 7 is a significant advance on Version 6.0, but does it stand up to the rest that's out there? Read more in our review by Nikonians Moderating Team member Martin Turner and find out if Capture One Pro 7 is for you. The Nikonians Academy slate of workshops and adventure trips goes in full swing starting in February. 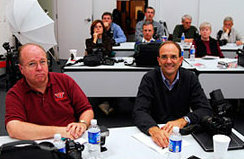 Instructors Michael A. Mariant and Winston C. Hall will be leading workshops in California and Washington in February. Michael will be hosting Yosemite in Winter: A Season of Contrast starting February 14th and Winston will bring four Master series courses to the Seattle area starting February 21st. The Yosemite photo adventure is a four-day session designed to take advantage of the Winter season when the park displays peaceful serenity at its best. You will find the least number of tourists and a blanket of white snow covers the valley, dotting the trees and providing great contrast to the stark granite walls. "The winter season in Yosemite is one revered by all landscape photographers .... an opportunity for solitary immersion in an iconic location that is covered in a snowy blanket not seen by many." 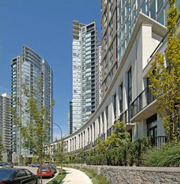 Winston C. Hall's workshops in Washington will be in Bellevue, conveniently located near downtown Seattle attractions. Finishing out the month, Winston Hall takes his Master series from Denver to Raleigh, North Carolina starting on March 21. 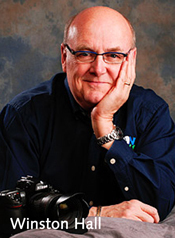 Steve Simon goes back to Canada for workshops in Toronto, starting on March 20 and concludes his hectic itinerary with workshops in Atlanta, starting on March 29. Looking for an easy to use image editing software? Most important however, is achieving quality, crisp results, and Photo Ninja performs amazingly when it comes to color reproduction, exposure controls, noise reduction, and more. Find out here! Nikonians Academy Director Mike Hagen reports the Academy is continuing to expand globally and has just added workshops for Australia this October and November. The Australian workshops include two weeks of Masters Series workshops in Sydney and Melbourne, covering the Nikon D800, D4, D600, and D7000 cameras and the Nikon wireless flash system. We are off to a strong start in 2013 with most of our January workshops sold-out. We still have a few seats remaining in our January Florida Masters Series Workshops and our Milan, Italy Fashion and Glamour Photography workshop. February and March bring Michael Mariant's adventure photography workshops to Yosemite and Death Valley as well as our entire line of Masters Series classroom workshops to Seattle, Denver, Los Angeles, Las Vegas, Raleigh, and Toronto. Rick Hulbert's Urban and Street Photography workshop is completely sold out for San Francisco (in fact, we added additional seats to meet the demand), but there are still seats open for the same workshops in New York, Chicago, and Toronto. 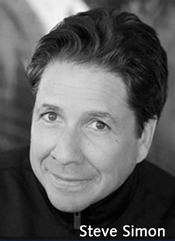 You'll love Rick's humor as well as his incredible teaching style. Here at the Nikonians Academy, we love photography and more importantly, we love teaching photography. You won't find a more qualified or enthusiastic group of workshop instructors anywhere. 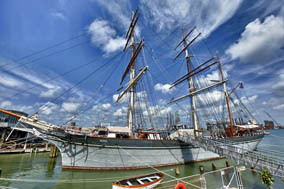 Join us for a photo workshop in 2013. Something that has been an interesting topic and one that I'd like to give a try is, creating Time Lapse videos. And who better to talk to, then Nikonian, Dennis Owens (DennisOwens).So, who is Dennis, and how did all this all come together? Let's take a look, at an exclusive interview and find out more. 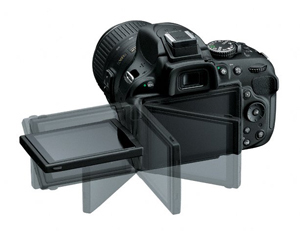 Nikon is showcasing its full line of imaging solutions including new products at the 2013 Consumer Electronics Show (CES) in Las Vegas starting today (Jan 8th). Highlights at the Nikon Booth (#8643) in the Central Hall of the Las Vegas Convention Center include the new Nikon D5200 D-SLR, and new Nikon 1 duo of cameras, the Nikon 1 J3 and Nikon 1 S1. The Nikon booth will also feature dedicated sections to demonstrate the shooting, connectivity and sharing capabilities of Nikon’s HD-SLR cameras, the Nikon 1 System, NIKKOR lenses and COOLPIX cameras. Interactive displays will be available, as well as opportunities for the connected user to experience the sharing capabilities of Nikon’s latest products. 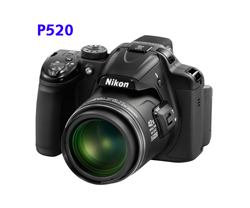 The 24.1-megapixel Nikon D5200 features a user-friendly interface, in-camera Special Effects and creative shooting modes to inspire innovative photography, making it effortless to create amazing images and HD video. The D5200 also allows users to share photos with friends and family in an instant when attached to the optional WU-1a Wireless Mobile Adapter1. Users can also apply creative filters and effects to HD video for truly unique memories. 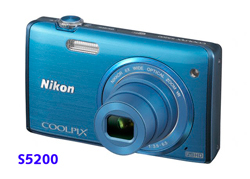 Additionally, the D5200 features a vari-angle LCD that lets users swivel the screen for above-the-head photos, or down low for creative self-portraits. 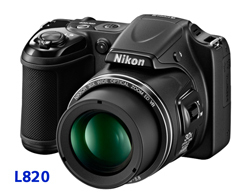 The Nikon D5200 with the AF-S DX NIKKOR 18-55mm f/3.5-5.6G VR lens will be available in late January 2013 for a manufacturer's suggested retail price (MSRP) of $899.95 USD. Nikon has expanded the Nikon 1 system with the new Nikon 1 J3 and Nikon 1 S1 cameras, offering superfast speed and performance, high image quality and easy-to-use creative shooting modes. 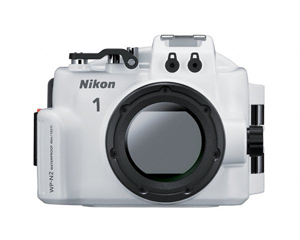 The new Nikon 1 cameras are intended for users looking for a camera that offers the compact size and portability of point-and-shoot cameras along with advanced controls and features found in more advanced digital cameras. The new J3 and S1 feature unique shooting modes like Auto Mode, Creative Mode, Advanced Movie, Motion Snapshot and Best Moment Capture, and are compatible with the optional WU-1b Wireless Mobile Adapter2 so that users can share and transfer images and HD videos to smart devices. 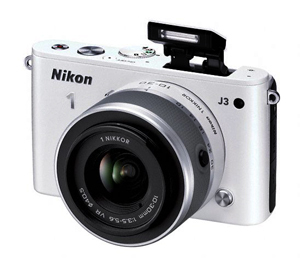 The Nikon 1 J3 with the 10-30mm lens will be available in February 2013 for a SRP of $599.95 in White, Black, Silver Burgundy and Beige. 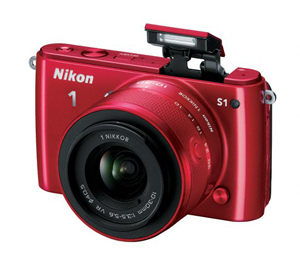 The Nikon 1 S1 with the 11-27mm lens will be available for an MSRP of $499.95 USD in White, Black, Red, Pink and Khaki. The VR 6.7-13mm f/3.5-5.6 is an ultra-wide-angle zoom lens featuring Vibration Reduction (VR) and a wide 100-degree angle of view that makes it perfect for capturing photos and HD video of landscapes, cityscapes, interiors and architecture. It will be available in February with an MSRP of $499.95 USD. The VR 10-100mm f/4-5.6, a compact and lightweight telephoto zoom lens, is convenient enough to take everywhere and provides a long focal range ideal for various types of photography including group shots and action sports. It will be available in February with an MSRP of $549.95 USD. 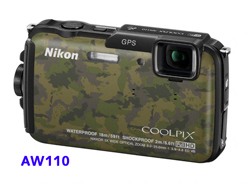 Nikon has also introduced the WP-N2 underwater case, which can house the new Nikon 1 cameras with the 1 NIKKOR 10-30mm lens. 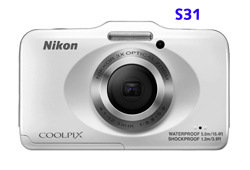 Fully submersible to a depth of 130 feet deep (40 meters), the WP-N2 waterproof housing transforms your Nikon 1 J3 or Nikon 1 S1 into a powerful waterproof, underwater camera that's perfect for diving, snorkeling, boating, kayaking, swimming, fishing, surfing or just having fun at the pool. It will be available in February with an MSRP of $749.95 USD. Every photographer has moments of being stumped. What to shoot now? I've nearly shot all that I can think of, subject wise. What's something new and creative I can do, to add to my portfolio, or simply, just expand and do something you've never tried before. Read here, to find out more! 2013 is shaping up to be our biggest year yet for the Nikonians Academy. In addition to our highly popular Master's series workshops, we are now increasing the availability of adventure workshops in outstanding locations. This forms a powerful combination; our adventure trips span the globe and our classroom-based workshops cover the newest technology on the market today. Your last opportunity to sign up for our January workshops in Florida is this week. This includes both Orlando (January 11-13) and Fort Lauderdale (January 17-19). 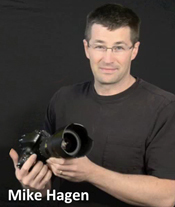 Academy Director Mike Hagen is teaching classes on the Nikon D800, D4, iTTL Wireless Flash and Lightroom 4. Many classes have already sold out and have long waiting lists. For our members in Europe, we have our Glamour and Fashion Photography workshop (January 19 – 21). Join master photographer Guiseppe Circhetta as he teaches on-location lighting techniques with live fashion models in downtown Milan, Italy. Shoot for a whole weekend with Giuseppe and his team and learn how to approach glamour & editorial shootings (production & postproduction). This is your opportunity to learn the techniques that will help you become a great glamour and fashion photographer. Join Michael Mariant in Yosemite, CA this February for his amazingly beautiful Yosemite in Winter: A Season of Contrast. This is one of Michael's favorite workshops and he loves to show off the grand beauty of Yosemite National Park. We've been adding workshops all around the USA and will continue to do so. Check out our Masters series workshops in Seattle, Los Angeles (hosted at Samy's), Denver, Las Vegas, Raleigh, New Jersey (hosted at Unique Photo), Dallas, Vancouver and Indianapolis. These workshops are widely praised as some of the best in the industry. We guarantee you will love the classes and want to come back for more.